Can You Eat Rye on the Gluten-Free Diet? Rye is one of the three gluten grains. It contains a protein called secalin, which is a form of gluten. Therefore, any food containing rye as an ingredient is most definitely not safe on the gluten-free diet. Although rye often is used in bread in Europe, especially in Germany and in eastern European countries, rye flour is not commonly used in the United States as an ingredient in baked goods (it gets trickier when we address rye whiskey, as you'll see in a minute). In baked goods that use flour, you'll mainly find rye in sandwich bread. It's common in the United States, in Germany and in Eastern European countries to use rye flour in bread with caraway seeds, and in pumpernickel bread. In addition, crackers and crispbreads frequently contain rye, and those products that do also are off-limits for someone with celiac disease or non-celiac gluten sensitivity. Rye flour is denser than wheat flour and leads to a heavier bread. Because of this, rye flour often is combined with wheat flour in baked goods. This lends the baked goods the taste of rye (which is more distinctive than wheat) but doesn't make them so heavy that they are unpalatable. Food labeling laws require food manufacturers to disclose wheat ingredients on food labels. However, food labeling laws do not require disclosure of gluten on labels. Therefore, if a product contains rye but not wheat, the manufacturer is not required to disclose the rye in its ingredients list. However, in practice manufacturers generally will want you to know that there's rye flour or rye grain in a product, since it's considered to be a premium ingredient, and it makes the product (usually bread or crackers) more desirable. Therefore, if you see mention of rye (or its Latin name, secale) on a label, you should steer clear of that product. In additon, triticale is a hybrid of rye and wheat. It also contains gluten, so avoid any products containing triticale, along with any containing wheat or rye. For those who crave that dark bread taste and texture, some gluten-free manufacturers make gluten-free "rye" bread. For example, Three Bakers offers a gluten-free rye-style bread, and Canyon Bakehouse Gluten-Free makes Deli Rye-Style bread, a gluten-free sourdough mock rye bread. Both these brands have very stringent standards for gluten cross-contamination, their products are tested to make certain they include fewer than 5 parts per million of gluten. You can find both products online and in the gluten-free freezer sections at select grocery stores nationwide. Rye Whiskey: Gluten-Free or Not? Now, back to questioning whether rye whiskey is gluten-free or not. Here, experts differ in their opinions on whether people who have celiac or gluten sensitivity can consume rye whiskey without a reaction. Rye whiskey is made from rye grain—in fact, in the U.S., the mash to be distilled must start out life as at least 51% rye to qualify as "rye whiskey." 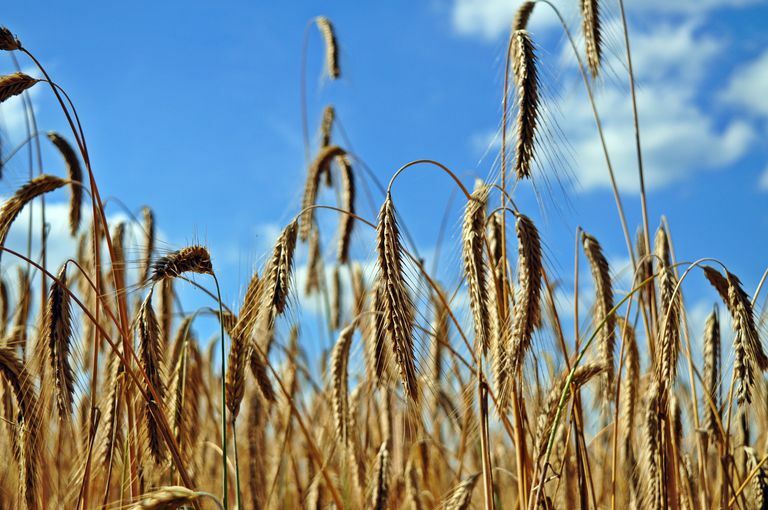 Often, the mash used to make rye whiskey also includes wheat and/or barley, the other two gluten-containing grains. Since rye whiskey is distilled, many celiac disease associations consider it to be gluten-free; the distillation process theoretically breaks down and removes the proteins that cause reactions. Many people with celiac or gluten sensitivity report that they can drink distilled gluten grain-based alcoholic beverages without any problem—reactions are very individual. However, some people with celiac or gluten sensitivity (it's not clear how many) actually have strong reactions to alcohol distilled from gluten grains. Often, symptoms of a gluten reaction to these alcoholic beverages include inebriation and a hangover that are wildly out of proportion to the amount of the alcohol you actually consumed, coupled with more conventional glutening symptoms, such as diarrhea or constipation and brain fog. Therefore, I urge you to proceed with caution if you want to try rye whiskey, especially if you seem more sensitive than average to trace gluten. You can read more about this in Is Alcohol Gluten-Free? Since rye is one of the three gluten grains, everyone with celiac disease or non-celiac gluten sensitivity should avoid rye bread and crackers and anything that contains triticale, which is a cross between rye and wheat. Also, those with celiac or gluten sensitivity should tread carefully when trying rye whiskey, since some people do react.